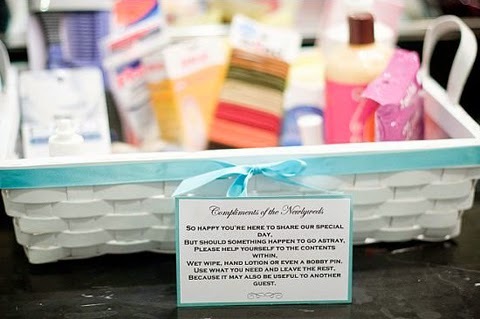 Having an amenity basket in the restroom is a great way to be sure your big day won’t be ruined by any mishaps encountered by your guests. This way if there is a small emergency you’ll be ready to solve their problem. Before purchasing you emergency kit, check the space available in your bathrooms at your venue. 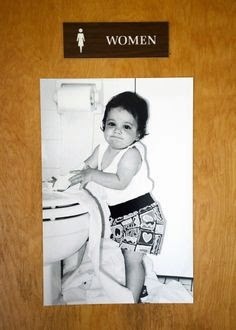 Add a cute touch by personalizing the door of the bathroom with photos of the Bride and Groom. 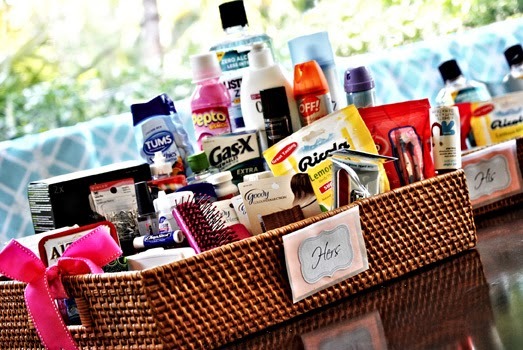 Do not forget the little note on the basket that says the amenity is for your guests to use. Labels amenity kit, bathroom, emergency kit, what to put in ladies' room, what to put in men's room.